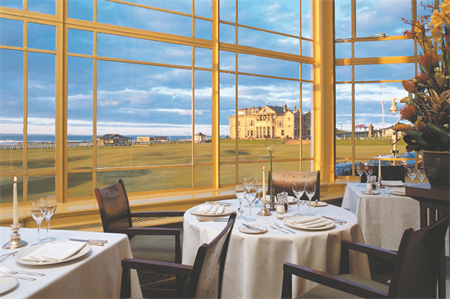 Macdonald Rusacks Hotel, which overlooks the 18th fairway of the Old Course in St Andrews, is to benefit from a £650,000 bedroom transformation. Scheduled for completion by the end of March 2013, the investment will see 40 bedrooms, including four Junior and Senior Suites, transformed to complement the "classical elegance, comfort and style" of the hotel. Every room will be named after golfing greats or stories linked to St. Andrews, on completion, guests may choose to stay within the Young Tom Morris Junior Suite or Old Tom Morris Senior Suite. Both offer dramatic views over the Old Course and to the sweep of West Sands beach and the North Sea beyond.